DEFINITION An O-ring is a doughnut shaped object (called a “torus”), generally made from an elastomer (an elastic material such as natural or synthetic rubber) used as a seal. The opposite sides of an O-ring are squeezed between the walls of the cavity or “gland” into which the O-ring is installed. The resulting zero clearance within the gland provides an effective seal, blocking the flow of liquids or gases through the gland’s internal passage. O-rings are one of the most common seals in manufacturing today. It is a simple, effective design. 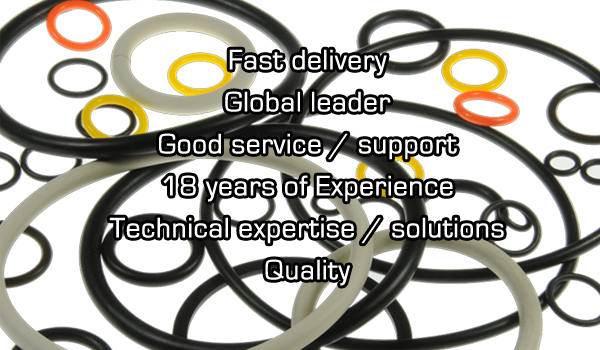 O-rings are not expensive and are very simple to install, yet they offer tremendous sealing capacity. O-ring seals are generally divided into two main groups. Static seals, in which there is little or no relative motion between the mating surfaces; and dynamic seals, which must function between surfaces with definite relative motion, such as the seal on the piston of a hydraulic cylinder. Of the two types, dynamic sealing is the more difficult and requires more critical design work and materials selection. The most common type of dynamic motion utilizing an O-ring sealing system is reciprocal motion as found in hydraulic cylinders, actuators and the like. lubrication requirements, quality, quantity and cost. That, combined with long list of materials from which they can be made, plus the thousands of sizes—as well as numerous specifications specific to certain uses (aerospace, military, etc. )—means that there are many thousands of possible combinations. Large manufactures and distributors claim as many as 14,000 individual SKUs and tens of million unit in stock. However, from the buyers point of view, the basic selection process would start with the following considerations in purchasing an o-ring. Application or type of equipment. Is the seal dynamic or static? Speed (if dynamic) of moving surfaces. With that they could find an o-ring that matches their needs. An additional consideration is compliance with use standards and specification such as have be established by the military, drinking water, food processing, aerospace, pharmaceutical, etc. The most widely used elastomer due to its excellent resistance to petroleum products, operating temperature range (-40°F to +257°F) and one of the best performance-to-cost values. It’s an ideal material for aerospace, automotive, propane and natural gas applications. Special Hydrogenated Nitrile (HNBR) compounds can improve resistance to direct ozone, sunlight, and weather exposure while increasing temperature range to +300°F. Compounds that are used extensively for outdoor, weather resistant uses, water appliances. EPDM has outstanding resistance to heat, water and steam, alkali, mild acidic and oxygenated solvents, ozone, and sunlight (-40ºF to +275ºF); but it is not recommended for gasoline, petroleum oil and grease, and hydrocarbon environments. This popular rubber compound is usually the first choice for low torque drive belt applications. In the Cast Polyurethane family, you will find compounds which are used predominantly in high hydraulic pressure applications and situations where highly stressed parts are subject to wear. Compounds which are used predominantly in high hydraulic pressure applications and situations where highly stressed parts are subject to wear. Is superior as static seals in extreme temperature conditions. Standard compounds handle operating temperatures -85º to +400ºF. Silicone compounds are popular in food and medical applications because they are very clean and do not impart odor or taste. Special Phenyl silicones can be used down to -148°F. In the Fluorocarbon family, you will find compounds which make-up the preferred seals for aircraft engines, automotive fuel handling systems and hard vacuum. Exhibits exceptional resistance to chemicals, oils, temperature extremes (-13°F to +446°F), low compression set, low gas permeability and excellent aging characteristics. Applications include: aircraft engines, automotive fuel handling systems, and chemical processing industries. FKM is also suitable for high vacuum applications. It is not recommended for exposure to ketones, alkalis, and Skydrol® fluids. Custom compounds are available with improved chemical and low temperature resistance. Combines the good high and low temperature (-75º to +400ºF) stability of silicones with the fuel, oil, and solvent resistance of fluorocarbons. FVMQ is unparalleled for aerospace fuel systems, auto fuel emission control systems and to meet or exceed government, military, aerospace, automotive, space program, F.D.A., industrial and commercial specifications. However, due to relatively low tear strength, high friction and limited abrasion resistance of these materials, they are generally not used in dynamic applications. They are also not recommended for exposure to brake fluids, hydrazine, or ketones. Each of the above could be seen as a “family” of materials as their characteristics may be adjusted by varying their chemical composition and manufacturing process. The characteristic that is often adjusted is the hardness, called a “durometer” rating or hardness. Various hardness scales are used. The most widely, the “Shore A” scale. Certain applications require that o-rings comply with specific industry standards or statutory regulations. These include military, aerospace, automotive, petroleum industry and food processing. Widely used specs include the following. There are others. There are also established specifications for sizes. 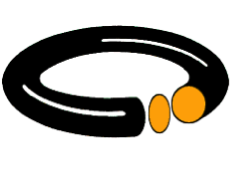 AS568 – The most commonly used standard in the United States for defining “inch sizes” of o- rings. BS 1806 – British Standards Institution and lists all Imperial standard sizes. It has been superseded by BS ISO 3601. ISO 3601 – International Organization for Standardization and contains both Class A and Class B O-Rings. BS 4518 – Issued by the British Standards Institution, Standard BS 4518 identifies British Standard metric sizes. SMS 1586 – Swedish Mechanical Standard (Sveriges Mekanstandardisering). O-Rings are identified by ID and C/S. DIN 3771 – The German Institute for Standards (Duetsches Institut für Normung). O-Ring sizes shown as ID x C/S. NF T 47-501 – Association Française de Normalisation (French Standards Institute). Similar to ISO 3601-1. IS0 6149 – ISO 6149 specifies O-Rings designed for use in Metric Tube Fittings. Includes 13 different sizes and calls out the metric thread size for each o-ring size.